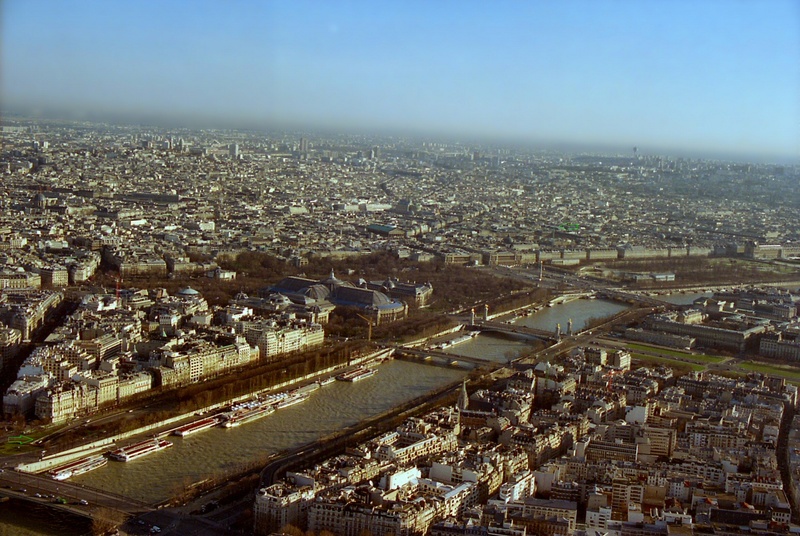 A few more photos from the peak of the Tower de Eiffel. In the top photo, roughly the center, you see a huge dome (if you click on it, you will see the dramatic, full size photo). This is the Sacré-Coeur Basilica. The Basilique Sacré-Coeur (Basilica of the Sacred Heart) is a Roman Catholic church and famous landmark in Paris, located on the highest point of the city in Montmartre. After France's 1870 defeat by the Prussians in the Franco-Prussian War and its aftermath, the Commune of 1871, the basilica was planned as a guilt offering and a vote of confidence to cure France's misfortunes. The foundation stone was laid in 1875. It was consecrated in 1891, fully completed in 1914, and elevated to the status of a basilica in 1919, after the end of the First World War. The site of the basilica is traditionally associated with the beheading of the city's patron, Saint Denis, in the 3rd century. 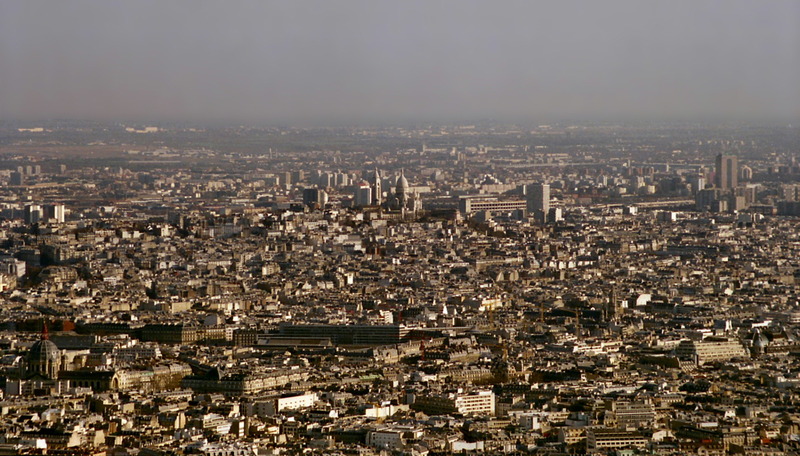 According to legend, after he was martyred, Bishop Denis picked up his severed head and carried it several miles to the north, where the suburb of Saint-Denis stands today. I can imagine he probably drew a lot of attention to himself that day. So to keep with local customs, I decided I'd beheaded east down the dirty Seine to the Notre Dame Cathedral (translation--'Our Lady'). It looked so eerie, so spooky, so terrifying in the morning, I just had to be a part of it! But if you like to be far away from spooky things related to hunchbacks, French, and Disney animated feature-length films, the second to the top photo shows the Cathedral in all its splendor and creep, roughly in the center of the picture. 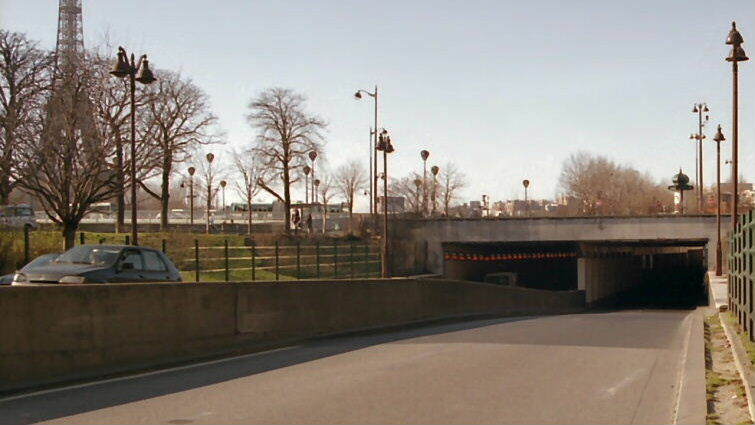 I hoofed along the Seine and past the Pont de L'Alma tunnel in which Princess Diana was killed (below) in 1997. We’d passed the Ritz motel that morning in which she’d stayed that night of the horrible traffic accident. She wasn't wearing a seat belt. I tried to enter the tunnel to see if there were still teeth and hair stuck on the pillars, but there was no walkway, and traffic was very heavy. I peered into the tunnel and noticed that towards the center, two pillars were missing. You can see this from the photo below, or click on it to get a huge, dramatic scene-of-the-crime photo. Were the missing pillars by design or had they been taken out? Maybe an overzealous tourist thought a brick wasn't good enough and mailed his mother two pillars from the Pont de L'Alma? This is one of the last things the Princess ever saw, and the last corner she ever took. It's easy to see, from these photos, that doing 80-120 miles an hour would likely get you airborne. Unlike Diana, I survived--I was only doing four miles an hour when I took the turn. 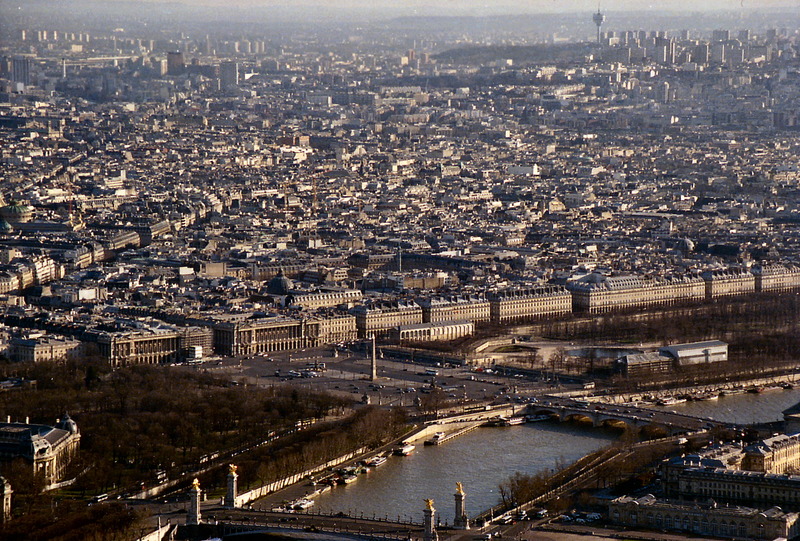 Second photo below shows Princess Di’s last drive, photographed from the Eiffel Tower…from viewer's right to left (see neon-green arrows) and a repeat of an earlier photo below which is a blow-up of the same area near the Ritz Motel (dark gray, pointy tower in middle of photo behind the Obelisque is the Ritz). This is all easier to see if you just click on the photo for full size. If you're too tired, use the finger of a loved one. Remember what happenedt to Lady Di when she didn't click it. 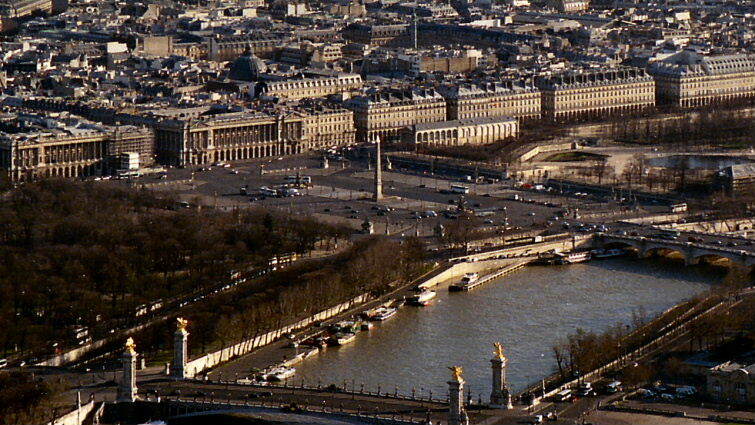 Above, the Place de la Concorde and below, the Ponte Alexandre III bridge. It was built at the end of the 19th century as part of a series of projects undertaken for the Universal Exposition of 1900. The exposition took place on both sides of the Seine river (but not in the middle) and the new bridge would enable the millions of visitors to more easily cross the river. Construction took almost three years. The structure was prefabricated in a factory and later transported and assembled by a large crane. 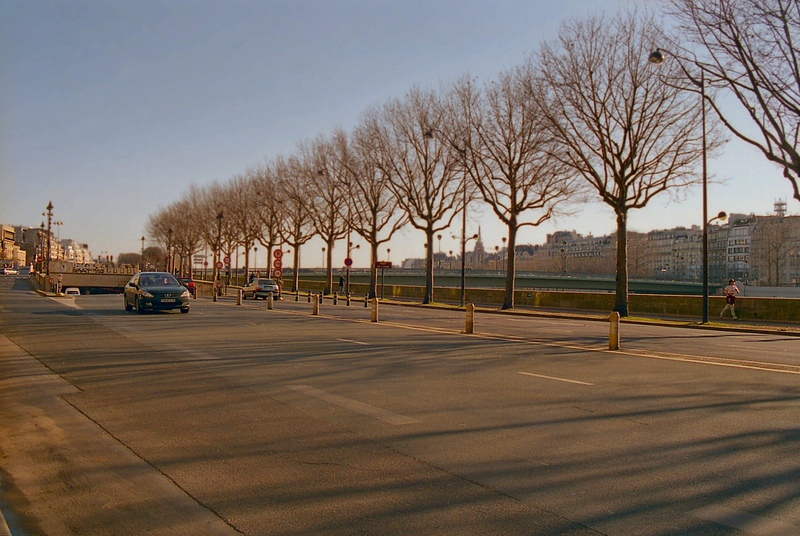 One of the requirements for the bridge was that it not obstruct the view on the Invalides and Champs-Elysées. This resulted in a very low 132 foot wide bridge with a single 353 ft long span and a height of only 20 feet. I nearly lost my head passing beneath it. 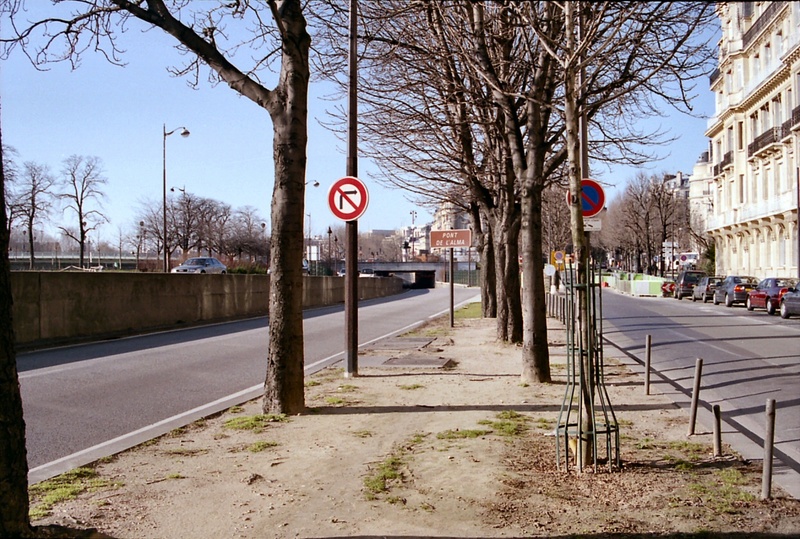 Top two thumbnails to viewer's right are the entrance and the exit to the Pont d' Alma Princess Diana death tunnel. 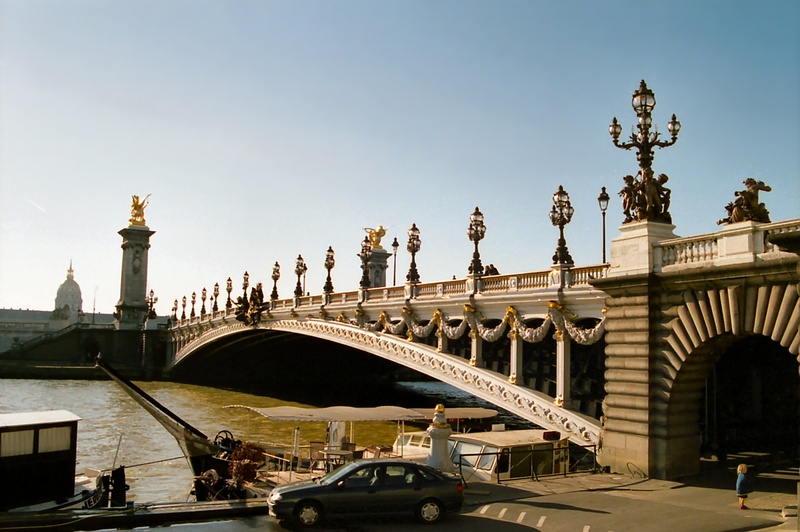 Below that is a close-up of the Ponte Alexandre III Bridge, and below that, the Musee d’ Orsay, a huge museum of art, another fancy famous building in Paris. At the turn of the 19th century, two large railway stations were built in Paris, the Gare de Lyon and the Gare d'Orsay. 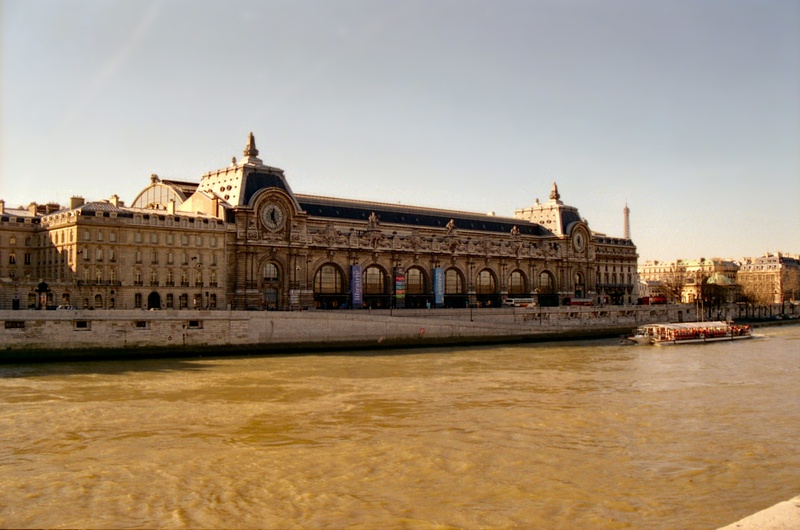 The Gare d'Orsay had the most prominent site, along the Seine opposite the Louvre. The design was popular for its integration of the metal vault in the stone exterior. The hall measures 459 feet long, 132 feet wide, and 105 feet high, enough to hold well over 115 million gerbils. The whole structure is 574 feet long and 246 feet wide. 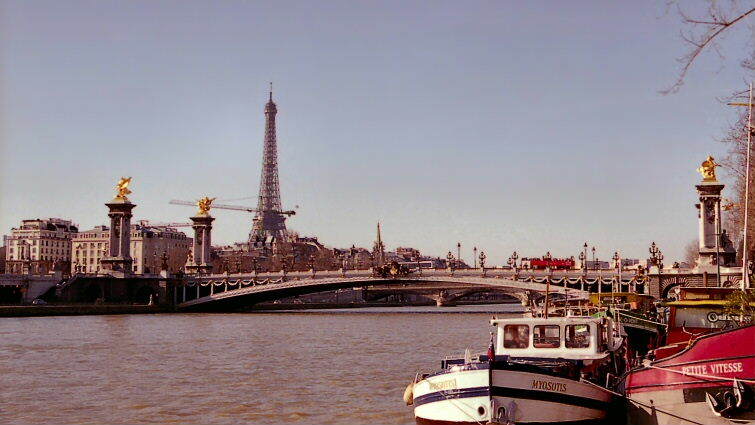 There were 12,000 tons of metal used, well more than the amount used for the Eiffel Tower. The Gare d'Orsay was dedicated on July 14, 1900 for the Paris World Exposition and was considered a masterpiece of industrial architecture. But soon the platforms had become too short for the now much longer trains and as early as 1939, the Gare d'Orsay was out of use as a train station. Over time it was used as a parking lot, a shooting stand, a theater, and even as a reception center for prisoners of war. 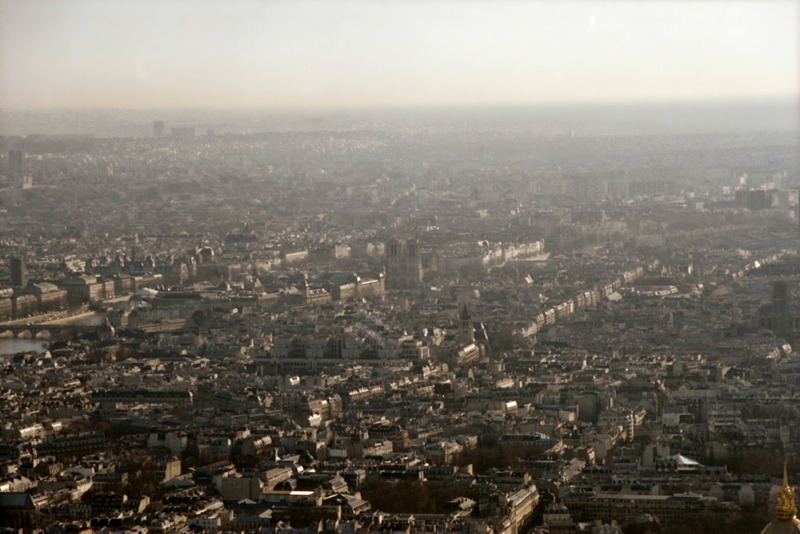 It had been completely abandoned since 1961 when it was saved from demolition by the French president Pompidou. In 1978 president Giscard d'Estaing, decided to use it for art. It would not only contain paintings, but it would also cover different art forms, including sculptures, engravings, photos, film, architecture and urbanism.